TIDINGS OF COMFORT AND JOY – BARLINNIE STYLE. Two days before Christmas I found myself driving slowly along the narrow road which takes you the final couple of hundred yards to the main gate of one of Glasgow's most famous institutions. Sharing the top 3 places of fame are Celtic Park, Ibrox Park and here, Barlinnie Jail, The Bar L, The Big Hoose, where a great many of the former two teams supporters are guests of her majesty. At this time of year it shares with other similar establishments the title of the saddest place on earth. It is freezing and I am about to carry out my duty as a prison visitor, not quite the happiest task I've ever carried out. For anyone who has never been in a large prison it is difficult to describe. Over a hundred years old and it shows, with Victorian stone arches and walls and tiny cells, most now thankfully containing one prisoner where; when I first visited the place some 10 years ago it was common for a cell to hold 2 and often three with no sanitation, not very Christmassy eh? All cells now have personal sanitation thankfully, some say that is spoiling them, invariably people who have never seen the inside of a place like Barlinnie. After a while you tend to forget about the tough guy reputation of the inmates and indeed the warders as you notice that nowadays they get along quite well. Most prisoners are poor souls really and quite unable to survive without help on the outside, take away the help and back they come. When you talk to them they talk about their families, particularly at this time, are they due sympathy? Well sometimes it is not easy to sympathise with some of them but by and large the majority should not be there and it is difficult not to feel compassion, read on. A couple of years ago a national newspaper "The Guardian" ran a series of major articles by people who are involved in the penal system. These experts stated unequivocally that approximately 80% of prisoners in the English and Welsh prison system suffered from 2 or more mental health conditions. I asked the then Governor of Barlinnie at a meeting of the Prison Visitors Committee if he was aware of the articles and whether their findings were consistent with the Scottish Prison System. He immediately said he was aware of the articles and no they were not consistent with Scottish prisons, he stated that the 80% figure was more in the region of 30% in Barlinnie, we agreed to pursue this further but never got round to it as my tenure as a visitor was ending shortly. If 81 % illiteracy, 71% innumeracy and 80% of prisoners with two or more mental health problems is the norm and I have no reason to doubt that it is then, despite the courageous and unwavering efforts of the prison staff we have a major crisis on our hands and it has been on the increase for years. If a prisoner is taken in to prison to start his/her sentence and is illiterate, innumerate and suffering from mental health problems or any one or combination of the 3 and that same prisoner is at the end of that sentence released still either illiterate, innumerate and suffering from mental health problems or one or a grouping of those 3 should we not at least be asking what is it that we want prisons to do, is this acceptable? If the present government proceeds with its plans over the next couple of years we will be facing a tsunami of crime and consequential prison admissions and; under the present regime that can only mean one thing, the situation will get worse and the Government will exploit the situation by acting tough to harvest votes. This has gone on too long, it's time society faced reality, prison does not work, but it might if we start to take rehabilitation seriously. At the moment and historically any suggestion of rehabilitation is disingenuous, dangerous nonsense as long as this scandalous situation continues. Investment is required now to provide gain in the long term, many chaotic lives have been made worse by the system and many lives have been ruined and families destroyed by short term expediency and cowardly decisions by politicians of every colour. It's time to take on this problem and to make sure that politicians; properly advised by criminologists, educational experts and Mental Health professionals are forced to face up to it and made take the lead. The very last people who should have influence are red top journalists who will say and do anything to demonise prisoners and complain about how easy prisons are. These people should start the learning process about prisons by examining the numbers of suicides, attempted suicides and the incidence of self harm in the system before going away and hanging their heads in shame. Surely we no longer need to ask the question, should we be guided by penal experts or by reactionary politicians on the make and backed up by the likes of Rupert Murdoch? “MERRY CHRISTMAS” THAT WILL COST YOU THE TAX PAYERS OF RENFREWSHIRE £3,500 COURTESY OF THE SNP. they were brilliant and produced a level of sophistication rarely seen in kids so young. Their confidence, their timing and their mastery of two part medley were obvious proof of their talent and the ability of the 2 teachers who were with them and whose names I can't remember but well done to all of them. Then it was on to the unnecessarily hard chore of the meeting, hard and unnecessary for reasons I will come to. Any attempt at seasonal good will was; in a premeditated way destroyed by the actions of the snp who set out to create as much bad feeling and ugly behaviour as they could come up with and believe me they are experts at that. This time though as I will explain, you dear readers the Renfrewshire Tax payers were included in the misery courtesy of the snp who decided to greatly extend the meeting with the cost being met by you, Merry Christmas then from the Renfrewshire snp group aided and abetted as always by our resident pantomime villain the one and only Libdem councillor Eileen McCartin. She, in her usual manner contributed to the length of the meeting by insisting on having her say on everything. Whether what she has to say makes any sense, helps anyone or contributes in any way to the proceedings is neither here nor there, it matters not when Eileen decides that we need some of her wisdom. The fact that the people of Renfrewshire at the recent council elections humiliated her and reduced the rump party she leads to 1 seat out of 40 and the lowest share of the popular vote does not deter her, she remains impervious to everything but blows. She is a high profile Christian is Eileen and she limbered up for the coming of the baby Jesus by giving us a sermon on the benefits of the Libdem/Tory Governmment and all their cuts, their bedroom tax and the Herod like brutality of the Atos inspectors sending dangerously sick people back to work. I wonder if her Libdem/Tory Government would have regarded that stable in Bethlehem as an extra bedroom and charged extra room tax for the child to be born. "We don't care whose son you say you are having young lady that will be 14% more"
This snp mockery of a meeting lasted for six and a half hours, it normally takes less than 3 hours. The reason for this was the conduct of the snp who put down twelve motions, two or three is the norm. Approximately ten years ago I was given a figure of £800 an hour as the cost to run a full council meeting by the council's financial director, that cost would now be in excess of £1,000 an hour at least. This means the snp's self-indulgent stunt put up the additional and completely avoidable cost to you the tax payer by something in the region of £3,500 if we keep it at £1,000 an hour and it is probably more than that. We were treated to lectures on independence, building war ships, more statues for Renfrewshire (guess who pays?) and of course a robust defence of the Tory/Libdem Government and their cuts by the last of the Liberal Democrats, the neither liberal or democratic Cllr. Eileen McCartin and bear in mind dear reader you were paying for this. 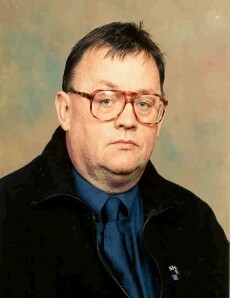 snp leader Cllr. Lawson complained about the Chair not calling a lunch break which would have put your extra payment up by another £500 and he had this to say. "If you think that running the meeting without a break will put us off doing this again you are wrong, because we will be back to do it again" You the tax payers of Renfrewshire should note that he doesn't know what the motions to council will be but he knows that they (the snp) will dream up some just like this time and they (the snp) will be back to do the same thing again, he doesn't say how often they will do this and he clearly has no concern for the costs of this shameful snp behaviour, behaviour that you the tax payers of Renfrewshire will have to pay for. I wonder if voters might like to tell councillors what they think of this snp/Libdem behaviour, we are not difficult to find. The local press is also a good way of venting your spleen at such outrageous and costly behaviour. It's an snp mystery right enough, like Bruce’s Spider, the imaginary William Wallace and who stole oor Wullie’s bucket?. Over the past couple of days, Friday/Saturday I have been arguing and trading insults with some rather unpleasant snp people who seem to have their base at the University of the West of Scotland. are running a debate about independence and they thought it would be a good idea to start advertising the debate by insulting people who will be at the debate who do not agree with them, particularly Labour MSP Jackie Baillie. They also say they want to start a debating society at the Uni. although "come along to the UWS debating society and be intimidated and insulted by the snp students" does not seem like a good way of getting things started. The contributions of Mr. Andrew Ballantyne who seems to be a kind of hanger on with the students are particularly illuminating; he is rather like A Scottish "Bullingdon Boy" who claims to be the owner of two businesses despite being unable to string a sentence together. Guess what? Today Sunday, I find that the correspondence has disappeared! vanished in the "Scotch. Mist" I have no idea why this has happened and who is responsible but I would not blame the snp mob if they wanted to prevent any more people from seeing what passes for discussion and debate between them. I would be delighted if whoever took it down though would explain why; or put it back, the people deserve to see this. Today Monday and the snp chaps and chapesses who man the 'freedom for Scotland" barricades at the UWS still have not responded to my plea to have the correspondence put back and to resume hostilities with me, am I that scary? can they possibly be feart? where have they gone? They sounded so tough and bullish as well, are these the people who want to become independent? Who want to kick out the Engurlish from their Grannie's Heilan Hames, who want to liberate every But n Ben from the settlers and colonists (topical point there) The geeks who want to rewrite history and exclude Engurland's magnificent World Cup win? Replace Shakespeare with Burns, Olivier with Sean Connery and Bobby Charlton with Jim Baxter, tomorrow is another day and quite frankly I don't give a damn what they do. I will be waiting with my sturdy shield of honour and my trusty sword of fair play, I shall return to this and continue to do so until the bunch of wee heilan stoats dare to show themselves. Meanwhile spare a thought at this time for the beleaguered UWS it seems to be in need of an enema. Despite swearing that he would never be back, our favourite tough guy Teuchter and snp enforcer 'wee Calum' is back on my comments section. finding out about my age, and state of health seems to have emboldened him. He remains as eloquent and articulate as we have come to expect from your average snp/separatist/cybernat" So, once again for your edification and enjoyment I give you "Wee Calum Orr" And I can assure the couple of people who got in touch with me to doubt whether this is a real person or not that he is real; honestly. I wrote the following to someone on my comment section "if I had told him (Wee Calum) I was 64, Diabetic, overweight and a heart attack survivor, he would have tried his luck" He now says, in his own inimitable style and using the language of Shakespeare and Milton "If you had told me you were 30, a kick boxer and psychotic I might have believed you and given you an invitation. But the news that you are a sad, fat, no willpowered, near dead loudmouth is more than I could have hoped for. I salute the ground that is coming to you Terry. You will be no loss to anyone. I am responding to you in the only way you understand, the manner of the cretin and the worst of humanity which you represent. I mean that in all sincerity. You are a shite of a human. Bye"
What can I say? I am utterly crushed, to think someone could think so little of me as to say such things about me, and we Scots. famous for our friendliness as well, ochone, ochone Calum, ochone ochone. At least we know that under independence with people like wee Calum in charge eloquent language will be preserved. A guy has written to me after my computer lost one of his posts. He sounds like one of the snp tough guys, he is a creepy character called Calum Orr, if that's his real name? That's all he tells me before he lets rip with the insults, nothing else about himself does he say. I have a message for you Calum (nice teuchter name eh?) a real braveheart aren't you. If I wanted to say anything like that to someone I would say it not write it. Due to computer problems several posts have been lost will anyone who has not had a post replied to in the last couple of days please repost and I will reply asap. COME ALONG AND MEET A YES CAMPAIGN SPOKESMAN. I GIVE YOU MR. ROBERT DICKSON. In the columns of the Herald there is a debate going on about independence, you can comment on articles and letters etc. on the NET. I urge you to do so. If you do, prepare to be gobsmacked, you will have your eyes opened as you see firsthand what the snp/separatist/cybernats are really like. The passage reproduced below is an uncut comment sent to me by one of their leading lights at least that's how he sees himself, his name is Robert Dickson and he decided to write to me at my blog in terms which the Herald would have put a red line through. I will make no other comment than to say this is not a joke this really is one of the yes campaign's self appointed stars. He reminds me of a guy standing on a castle rampart shouting about "farting in the general direction of his enemy and shouting that his mother smelled of elderberries"
Just the most fleeting of visits to your atrocious, bile filled diatribe that passes for a blog, Terry. In order to point out that it has not gone completely unnoticed that you are so devoid of the ability to argue a case and are living in such fear of rebuttal that you have gotten into the habit of waiting a couple of days to post replies on various threads at the Herald after you think them dead. This may make you feel better about yourself and may even allow you to believe that you are fooling anyone into thinking that you have won the argument by having 'the last word' but you are mistaken. All it actually does is confirm that you are devoid of any capability to argue a case, a point or do anything other than post rather tediously unfunny jibes at posters or politicians. In all your 'contributions' to date you have not made one, just one single substantive constructive point. Your posts consist of nothing but one line repetitious guff. I notice that the moderator seems to work overtime with your efforts......unsurprisingly. I can actually feel the waves of frustration emanating from you at being required to act in anything resembling a civilised manner towards other individuals. Why not move to the Scotsman forum? The idiocy, aggression, and stupidity on display there would be far more in tune with your limited abilities. You must be sick of having your daft comments torn to shreds at the Herald, either by the moderators or by posters (I don't presume to include myself) far more able than yourself to articulate logical arguments and rebut the nonsense you spout? In closing Terence, I am a lifelong socialist and trade unionist, but you and people like you are the reason I left the labour party. You talk a good game as do all of your type when it comes to socialist buzzwords and support of all the 'right' causes and having read all the 'right' books but it is all-front I am afraid. The reading list on your bio could not be more faux if a committee had written it. I sincerely hope that real socialists can take back the labour party from 'ragged trousered' talking heads like you.....that talentless stairheed hairy Lamont and the Hampstead dinner party fake Milliband. Rest assured that any reply to this comment will probably go unseen by myself as I would not wish to spend any more time on your hate filled, spluttering 'blog' and in your cybercompany' than is absolutely necessary. If there is a plus point to this 'blog' it is that it allows you endless opportunities to become hoist by your own petard. Oh....and since you own this 'blog' you get the last word!